Updating the look of your interior, be it domestic or commercial, is easy with this modern styled wall fixture. It's stylised arm which is bent in a downward position allows you to direct the light where you need it most - great for reading in a chair or for highlighting a feature such as a table or decoration. 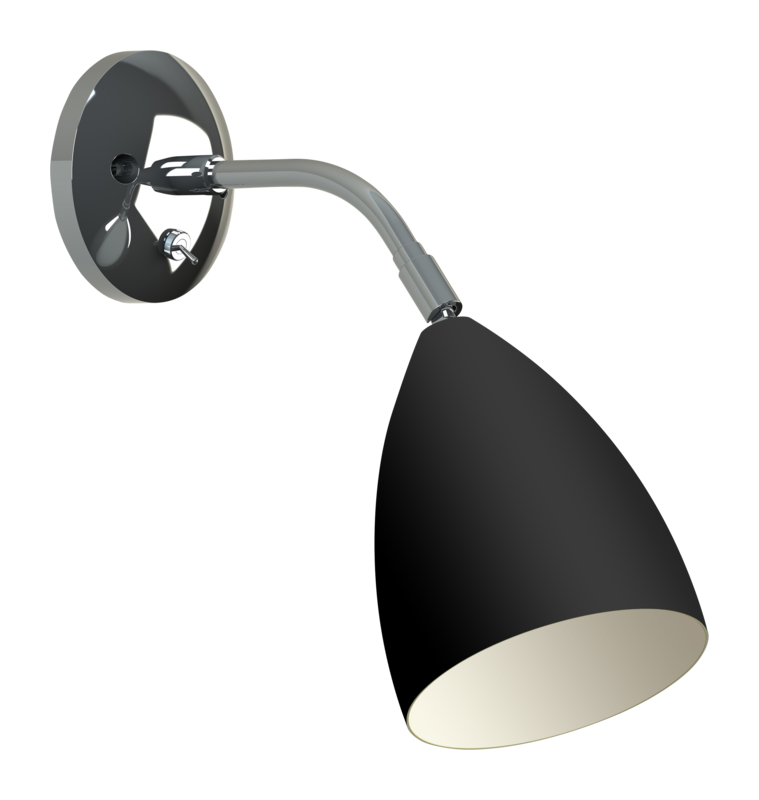 This light has a painted black finish which will go with many different design styles, and it will be a striking addition no matter where you install it. It uses a 60w E27 lamp and will please you with its modern, yet simple look. You can be confident that you are getting an attractive piece with this product. Includes built-in switch for easy on/off operation.